Grab your popcorn and settle in, because I’m giving you plenty to watch in this post. 1 la jetee from GCVA Manchester on Vimeo. Because of the impact of this film, you can search the internet and find many an essay on it and, in most of those, you’ll find mentions of the effects of this cause, aka the visual offspring of La Jetée. And, having drawn your attention to this film, I want to call out some of those offspring. The most obvious to you will be the 1995 film 12 Monkeys. And it’s unabashed in that case, even acknowledging this heavy influence in the opening credits. Most striking to you may well be the method of time travel that both seem to share, and that cramped and gritty space from which the time traveller sets out on his journey. 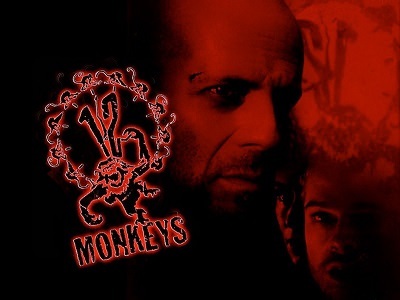 You might also, especially once you’ve drawn the 12 Monkeys connection, have thought of the 2011 film Source Code. 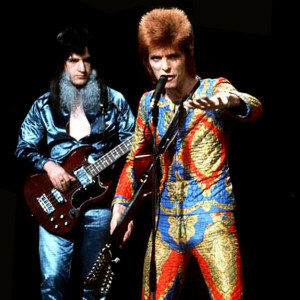 (Bonus Bowie connection: Source Code is directed by Bowie’s son, a talent in his own right, Duncan Jones.) Though it’s time travel cause was far less dramatic, as was the amount the traveller journeyed back, he starts from a space that reminds us clearly of that in La Jetée and 12 Monkeys. Arguably, the theme of people without control of their own destinies being sent back to change the destiny of all humankind is also a link here, and one which I might find fascinating to discuss if I weren’t interested in getting to what’s coming later in this post. 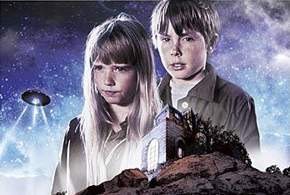 Her Ghost Trailer from MFO on Vimeo. …and at least one parody (La Puppé, which you can watch here or embedded below). La Puppé “Short Film” from WSF on Vimeo. 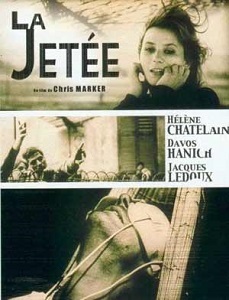 Though their lyrics aren’t necessarily about La Jetée, the film has inspired music videos for some songs, not just other films. For example, you can see the clear influence in the video for Sigue Sigue Sputnik’s Dancerama. Or in the video for Jump They Say by David Bowie. Yes, that’s right, I fit David Bowie into another month in a completely legitimate way. 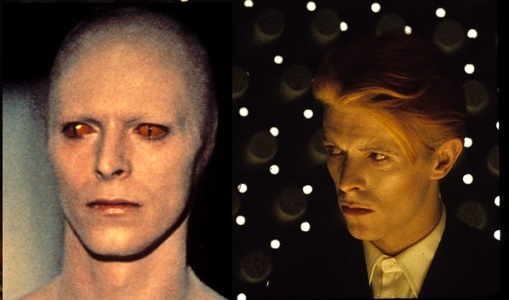 Plus, whilst we’re on the topic, I feel constrained to note that someone made a film that’s something of an extended music video homage to David Bowie and that uses time travel as one of its main vehicles to move the plot forward (though, sadly, there is no actual David Bowie appearance in it). The film is called Dave and its Bowie-ish protagonist ingests Chronomycin (“For convenient time travel”) to take care of business. Watch it here or embedded below! RSWX presents Dave from Radio Soulwax on Vimeo. Sometimes, when we look at time travel and see how worried people can get about changing the smallest thing, it can look silly. I step on a butterfly and destroy life as I know it? Really? But pause one moment…See how much one really short French film has impacted things and tell me that the small things don’t change the course of history. We’d be irresponsible traveller’s if we didn’t tell you about the butterfly known as La Jetée. One of the first things I told Cat was that I had a list of films I loved that must be mentioned, especially as I thought they were less likely to be known by most people (and also a shame to be missed by those who consider themselves connoisseurs of vampire media). This isn’t my all-time favourites list, but it’s only lacking a couple things to make it that. Instead, I’m sticking to those films that didn’t get as much publicity, things I saw in smaller independent cinemas (and, for the sake of something like brevity, only English-language films for this post). So, whilst I love it, there’s no Lost Boys here. 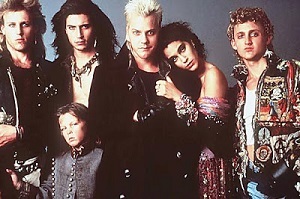 You already know about Lost Boys. In no particular order, here are my top five vampire films that it seems not everyone has seen (aka proof that, in vampire films, I favour stories about how they relate to humans, to each other, and to what humanity they have left). First, yes, I’ve got the countries right up there. Films can be a production of countries in which they don’t occur. In this case, the events are split between Detroit in the U.S. and Tangier in Morocco. Now…I could write thousands of words about this film. I hoped to like it (Tilda Swinton and Tom Hiddleston as vampires? 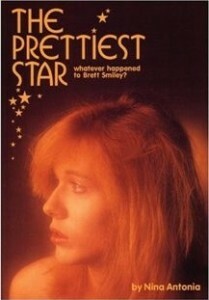 Oh my stars…), but had some reservations (the “sister” plotline was surely going to annoy me…). Within literally the first few minutes, sat in that big, empty cinema, I was in love and this film was one of my top films ever. I love Jim Jarmusch’s signature pacing, the sort of slow but inexorable forward motion. I love the obvious yin and yang of the two lead characters. I find some of myself in both of them, so I am given more than entertainment; I am given a catalyst for self examination. I love this very rare example in media of a healthy, if non-standard, relationship. And I love it more for being non-standard. I love seeing this world through the eyes of some vampires who are very different to each other and to what we tend to see from vampires in media. I love the Tesla love they show. There are funny moments, but in the very real-life way that humour happens. Even with a plot that isn’t all happiness and has quiet warnings about the world humans are creating, I find this moody, brooding, and hopeful. This is a unique, dense, and beautiful contribution to the vampire oeuvre, and I could write poems to it. If you don’t need a fast-paced gore fest, I hope you’ll at least give this one a try. This is David Lynch’s contribution to the vampire oeuvre. It’s a tale of family dynamics and relationship complications as they involve Nadja, a beauty of Romanian descent (the actress is actually Romanian), and Jim, whose crazy “uncle” just stalked and killed someone with a stake. They got Peter Fonda for this, which is kind of surreal to me. Because it’s Lynch, it’s unconventional and intense and awkwardly or darkly funny sometimes. Nadja is a moody black and white film that ignited my love of the band Portishead and almost made me want a cloak. One of its themes, as Nadja herself says, is “the pain of fleeting joy.” Depending on my mood, this film can either encourage me to keep fighting for the joy or give into the pain. (I saw it at a cinema as a double feature with The Addiction. I know some folks who adore The Addiction, but Nadja is the one of the two that struck me and stuck with me. Think I need to hunt down The Addiction and watch it with a little less competition…) Also, this film has a Renfield I adore. Note 1: Yes, Lynch used a toy camera to shoot some stuff and get an interesting effect. Your copy of the film isn’t broken. Note 2: Watch the credits to see which two parts Peter Fonda played. It’s worth a little laugh. Years before I managed to see this, I’d read the book and hunted down the soundtrack. Because, oh yes, David Bowie. And David Bowie as a vampire? This film was an inevitability. I only hoped it wouldn’t disappoint. Because David Bowie as a vampire. This film made me fall in love with Catherine Deneuve and with a haunting Schubert piece. It had love and brutality. Hunting food and hunting a new mate (hello, Susan Sarandon!). 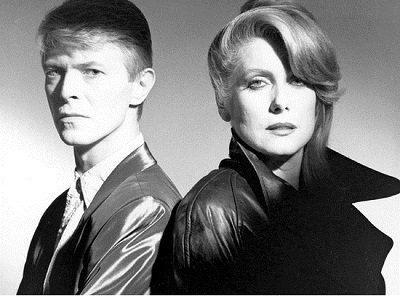 And there was that time I saw it in a cinema with some really pretty person softly kissing my throat all through the opening sequence of Bauhaus singing Bela Lugosi’s Dead whilst Bowie and Deneuve hunted. Yes, please. 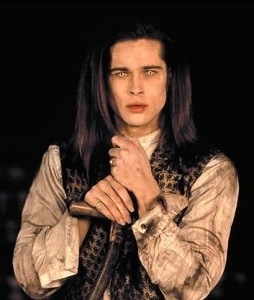 This film was the first film where I was introduced to the idea of something killing a vampire other than a human. And, yes, I swear that I’d have been just as upset if it hadn’t come at David Bowie’s expense. In this film, as in Only Lovers Left Alive, I appreciate the strong and silent power of the female vampires. I also, as you’ve seen me just say and as you’ll see me say again through the month , appreciate that these vampires can walk in the sun. This one is, in my mind, a classic. 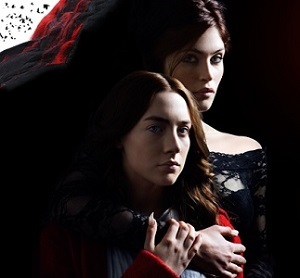 I always expect vampire lovers to have seen it, but enough of you have defied my expectations and this film is important enough (and so very good), that I am pleased to feel justified in including it here. This film starts off with a nice set of scenes that immediately differentiate the two main characters, a set of female vampires who aren’t quite a matched set. These vampires fall into my beloved “not killed by sunlight” category, which is handy as we see them stumbling over old memories set off by once-familiar places from their pre-creatures-of-the-night lives. We get to see both their origins and where that’s led them. There’s a nice, non-standard creation method in this one, like a few of the others I watched. The first time I watched this, in fact, I recall being eager for them to hurry up and make the process clear. This film is a reminder that, even for those who do best to keep their natures secret, some secrets do more harm than good. Also a reminder (and we’ll see more of them this month) that being a vampire doesn’t guarantee you a life of glamour or ease, especially if it’s not just humans from whom you’re on the run. I find it a nice complement to We Are the Night (which I’ll write about next week). Tale of a Vampire – Young Julian Sands in a film that involves a reveal that not everyone will get but that caused me much glee. Loads of slow and quiet moments, interspersed with bits of action, blood, and exposition. Nomads (The 1986 film) – Not quite vampires, but a mind-twisty little piece that should surely appeal to you who love vampire films. Maybe a nice pairing with Lost Boys, actually. Featuring a young Adam Ant. Near Dark – Featuring a young Adrian Pasdar. This one tanked in cinemas but gained cult status, so putting it here in case you’re not already in the cult. Another to pair well with Lost Boys. It’s American Southern Lost Boys in some ways. *CAT ASIDE: yeah, that’s mostly right. I’m not strictly opposed to the humanity-prone vampire (in fact, I do kind of like it), but there does need to be some emphasis on the evil. 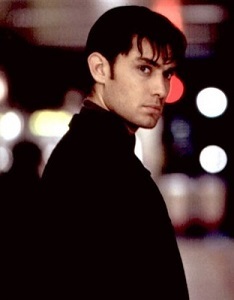 This will become more clear when I talk about my number one on-screen vamp later this month. I’m a little distressed at how few (too few) aliens and alien-related topics we can actually fit into one month’s schedule. And then I do the maths and see that the amount we each get to cover is half the size of “too few.” Which is why we’ve kept track of things we didn’t make it to and will likely have another Alien month some time. This is what we keep reminding each other as we, over and over again, realise there’s something we haven’t found a way to fit in that totally owns us. Now, here I am, down to my last post for the month (thank goodness we’ve got a vlog coming next Monday! ), and I need to make the most of it without writing a novel. To help me stay kind of concise and to hit on some aliens of import to me, I’m going with a Top Five. Except that I’m doing a Top Six (unless Cat catches me and protests…I swear I tried to cut it down to five). 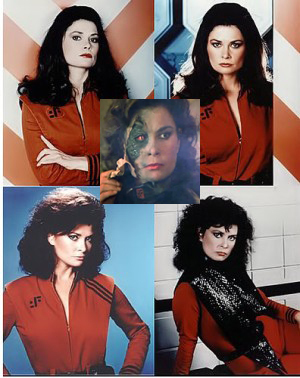 Obviously, aliens were a big part of my life from as far back as I can recall, so you won’t be surprised to learn that this is my list of my top alien role models. I’m focused on those from younger years and those that sprang to mind with no prompt other than the topic title. They’re presented in order of discovery, not import. Prepare for some potentially questionable choices! If you were with us last month for Glam month, you already know how important this particular David Bowie character is to me. But it goes beyond enjoyment and the glam inspiration. The first time wee Amber closed her eyes and imagined her future, it was the Ziggy Stardust version of her rocking out on an arena stage. In case you didn’t read the Glam month stuff or you don’t keep constant track of my thoughts…Ziggy helped set some of my ideas about gendering of looks and behaviours, about rigid sexualities, and about being imaginative with my own looks. I should explain myself. Imagine that you’re just starting to realise that men have more power than women and that your beloved scifi is, in fact, also similarly skewed. And then you stumble across this programme where the main leaders you see are female (if not at first, very quickly). And one of them is an alien scientist (you love science) who, like you, is dark-haired (you’re also starting to realise that blondes are privileged). And they really can’t seem to destroy her (even though she is a bad guy and can, therefore, never win). And she is in charge of spaceships. And she is strong. Yeah, instant adoration. Even after her true intentions were revealed. Especially once she booted out the man who was her boss. (Also, I haven’t always been as nice as I am and people who knew past-me aren’t surprised by this…Man, she was vicious, brutal, cunning.) And, yes, I shrieked with delight when she showed up on the V reboot…When I think of aliens I aspired to be, she is always first to come to mind. First off, I’m telling you right now that I’m not going to compare the different regenerations of the Doctor. 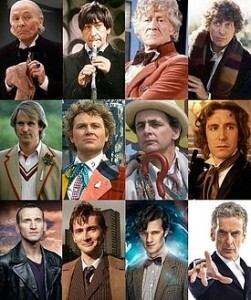 I have a favourite, but that’s irrelevant, because he isn’t the only one who puts the Doctor on this list. I know it seems a bit obvious, but I liked the symbolism of how each Doctor looked differently and acted a bit differently, just as we humans are multi-faceted and capable of changing which facets are our most dominant, even if we only get one body to do it in. Again, timing was important. I feel like it took me into my late teen years to really embrace the greatness of allowing oneself to be multi-faceted, allowing oneself to explore new facets or to change when one you were putting foremost didn’t feel like your best fit. I’ve also always appreciated that the Doctor, in a violent and dangerous universe, is mainly full of wonder and tries to save people (and spare enemies) cleverly rather than going in guns blazing. A younger me had to put some effort into not going for the attack. 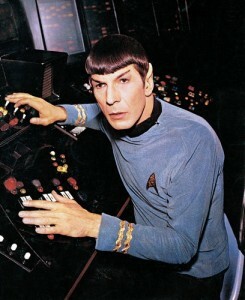 And every age of me has loved this grown man who helped me maintain a sense of wonder. 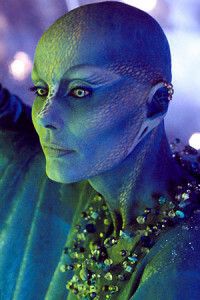 Zhaan is another spiritual-ish figure. She committed a justice-inspired murder and ended up in prison. And went mad. And then turned to spirituality to pull herself together. 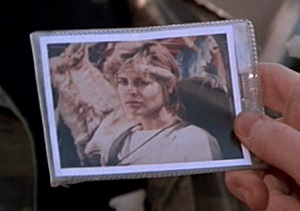 She was, after that, a mainly spiritual and serene being with a violent current running through her core. 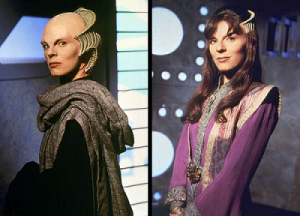 Zhaan taught me, along with Delenn, to stand up for my spirituality. Taught me that the ugly bits in my core weren’t always just something to be ashamed of (they could even be useful). She made me ponder the strengths of my friendships and the causes I threw in with. And when she, a member of a plant-based species who are generally vegetarian, needed meat because she was starving…I know it will sound silly, but ceasing to be vegetarian was a big deal thing for me. And if the compassionate Zhaan could sometimes embrace her need for meat, maybe I wasn’t horrible for doing so. (That’s right: I unabashedly find my morality, among other places, in scifi programmes.) Plus, as someone whose very fair skin has resisted any efforts to even carefully enjoy sunlight, I envy her sunlight-induced ecstasy. And was inspired to see what ubiquitous things (like the sun, but not the sun) could move me deeply (though not necessarily to that level of ecstasy, because the last thing I need is one more way to be awkwardly, deeply FEELING in public). Also, honestly, how cool does she look? If I were another colour, blue like her would be one of my top picks! Everything I’ve chosen is old enough that I’m hoping my SPOILER ALERT is unnecessary. Really, I’ll be a little sad for you if you’ve missed any of the five things I reference. The first set of aliens marooned with aliens that I want to talk about are Earthlings (that’s us) suddenly among people not from Earth. The case where we are the alien and it wasn’t on purpose. In this set, we’ve got a token human as our point-of-view character to help us engage with the story. Once they leave the Earth, they might be our only point of familiarity (until we are shown the ways in which another species might have similar traits or concerns). I’m going to set aside the cases where the aliens are entirely malevolent or where we’re out there and know there could be alien life. For me, the fascination is with what happens when this wasn’t the plan. 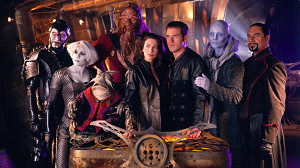 In the interest of brevity, I’ll talk about just two stories: the film The Last Starfighter and the TV programme Farscape. In both, our token human is someone we might expect to adjust a little easier than the “average” human without being too different from average. 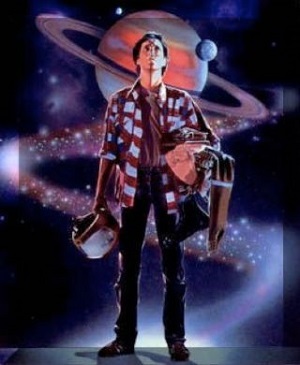 In The Last Starfighter, Alex Rogan is a teenager who is really into trying to get a high score on a video game and who’s dreaming of bigger and better than his very-small town life. When he gets the high score and discovers—via being picked up by an extraterrestrial agent—that the game was a recruitment device to find pilots for an interplanetary war, he’s surprised but manages to get it together quickly enough to be helpful. The last part of this sort of scenario I want to touch on is the homecoming, because, obviously, that’s what those unexpectedly stuck outside their lives want. Again, seeing the stories through these two characters gives us a different experience than if we’d been on the run from dangerous predators the whole time. For Alex, having completed the mission for which he was taken, he can now return to his home (easily dropped off) without any sense of guilt. We’re thrilled he’s won, but we’re with him in being a little unsure that going home is the best ending. So, rather than looking forward to him running away from the aliens and settling happily back into Earth life after the adventure helps get his hunger for something bigger out of his system, we’re hoping he makes another choice. Even though the writers gave him a human love interest that they’ve made us want him to stick with. Yeah, he left to battle an enemy and we know it’s not safe, but there’s got to be more to the story, at least for him. (There was actually a sequel scheduled to happen at one point, but I’m afraid this was all the story we got.) What happened to Alex? You really should go watch and satisfy your curiosity. 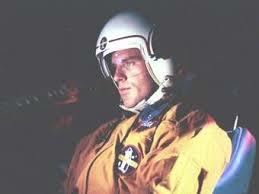 With Crichton, he’d been through so much and had constantly been looking for ways home. We really wanted him to find that way. And then he did…and we realised that we had grown as fond of his new friends as he had and we kind of didn’t want to see the team broken up. We don’t forget the dangerous and ugly parts of his experience, but we also realise that the life he has out there is something we can’t really rival on this pale blue dot. (And the only way we get to keep sharing in those wonders is if he keeps experiencing them.) And maybe, just maybe, having learned this lesson through Crichton and Alex, it’s a little easier for us should we unexpectedly find ourselves on an interstellar adventure. 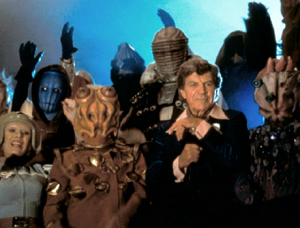 The second set of aliens marooned with aliens that I want to talk about are extraterrestrials stuck on Earth. They are the outsiders and, in the cases I’ve chosen, not invaders or actual threats. And here we have plenty of humans to relate to, but we might not like what we see. Just like we saw that, among the multiple species of alien Crichton and Alex encounter, some are good and some aren’t…It turns out that we humans aren’t all good. In fact, be prepared to see just how ugly we can be. In the interest of brevity, I’ll talk about just three films: The Man Who Fell to Earth, Escape to Witch Mountain, and District 9. The Man Who Fell to Earth was based on a book of the same name (which I read ages ago but, as previously noted, my recall for books is rubbish). . The story is a grim one, centred on Thomas Jerome Newton, an alien posing as a brilliant, human inventor. He was heading to Earth to get resources that would save his own planet from dying, but he crashed. Now, he’s got to hide his identity whilst earning the capital to build a ship he hopes will get him home. As long as humans think he’s just rich and eccentric, they’re intrigued but he gets the privileges of the rich, white, and attractive. However, in spite of him never doing anything harmful to humans, all it takes is the knowledge of his alien origin and the government moves in, with the help of a human who should know better but betrays him, and breaks him (physically, mentally, emotionally). He’s entirely rejected by even the woman he trusted most. This isn’t a happy film and, worse, his betrayals ring true. Faith in humanity battered. 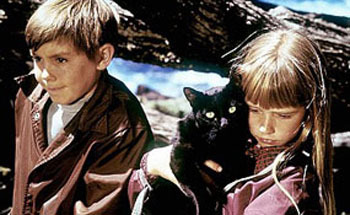 Did you laugh when you saw I’d listed a children’s film? Just enjoy this less-grim break, because the brightest point in this section shows up in Escape to Witch Mountain. (This one was also based on a book, which I haven’t read but might need to add to my reading pile…) I re-watched the original a few months ago (thanks, Netflix!) and found that it was far less cheesy than I’d worried it might be. Missed this one? Don’t worry; I’ll spoil it for you. For the bulk of the film, we don’t know that Tony and Tia are aliens. In fact, we think they’re just charming orphans. And, as long as everyone thinks that, it’s fine. They’re well-behaved and cute and only the orphanage bully has an issue with them. But, once again, when they start to show their inhuman sides, it gets less cuddly. In fact, in this case, it’s almost worse, because the humans don’t see an alien threat; they think they’re just looking at fellow humans with unusual abilities. But none of us are actually surprised to learn that we’re willing to be horrible even if we just think another human is, in a non-extraterrestrial way, alien to us somehow, are we? Luckily for us, this is a children’s film, which means that not everyone is bad. There’s a kind older man with an initially gruff exterior who helps them escape the rich, old, white man trying to exploit the kids. Even when the pieces come together and we learn they’re aliens whose people crash-landed on Earth, gruff old Jason O’Day still thinks they’re the neatest kids. As he reunites them with their remaining people, it’s clear that everyone hopes to see each other again. Not all of us are horrible! The aliens are still marooned but reunited in a happy little valley with their people! All is not grim! 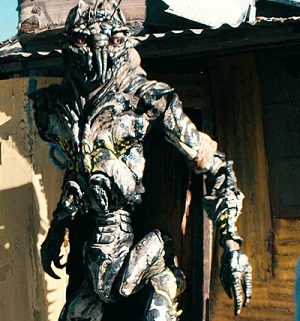 District 9 is the most contemporary of my examples, and we see that we’re as sure as ever that any aliens marooned here would be sorry. The film is based on a short film previously created by the director and quite unabashedly, for those who pay attention to human events, inspired by events in District Six, Cape Town during the apartheid era. So, to be clear, we start out knowing that this is definitely about how inhuman humans can be, even to each other. In this case, it’s bad from the get-go. The poor aliens in this film look, by human standards, scary. Which means that, even if they were the sweetest beings and showed up with cancer cures and wealth for all, humans would treat them poorly. Instead, their ship is crippled and they’re stuck here. 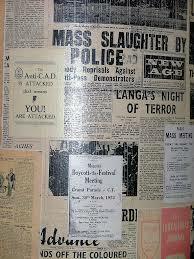 Stuck here and forced to live in a ghetto, experimented on, and seen both as a danger and as garbage. If you watch this and don’t feel horrified by humanity, I hope we never meet. Especially now that I’ve pointed out the very obvious fact that this is based on how actual humans were treated by actual other humans. Shame, shame! But, just to drive home the horror of humans, the plot includes a human who starts transforming into an alien after exposure to an alien chemical (that the aliens were carefully keeping away from humans, but humans came in and messed things up and brought this on themselves). And do you know what the other humans did as soon as they realised what was happening to their brave and, let’s be frank, injured-in-the-line-of-duty soldier? They decided to vivisect him. But, wait, we’re about to look even worse, because when this soldier escapes and goes to the very aliens he messed up for help? THEY HELP HIM. Are you ashamed of us yet? When the aliens find a way to escape Earth (the only actual bright spot in this film), I can’t be the only person not entirely concerned with whether or not they’ll do as they promised and return to heal the soldier. Faith in humanity destroyed. Have we managed to pique your interest about glam? Want a good jumping off place for exploring it and seeing if you want to add it to your own list of likes? Here we present lists of our favourite things in glam. Amber: Choosing favourites in any situation is something I dread (even more than I dread keeping my word count low). Especially in this context, where you’re surely going to pull out your expectations or judgements about how I ought to go for obscure things. But I put blood, sweat, and glitter into this, and I stand by my list…for at least the next week. Favourite glam aesthetic: Glitter, of course! Favourite thing about doing glam now (aka why I’m okay I missed the 70s): The internet. Seriously. With it, I can find inspiration, tools, and tutorials for realising the look I want; more music to inspire me; and friends all over who love me as I am. Cat: Again, I am the outsider coming on in this scene (which might make me more glam than anyone? Or not…), so my list of favorites is very much influenced by the main players, plus those things that come across as uniquely glam. Some of them are the early tastemakers, some are just my own likes manipulated to fit the formula, and some are things only I might see as glam, but which I just can’t shake. 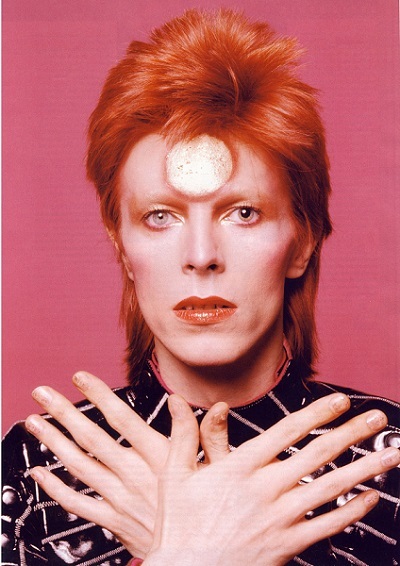 Favorite glam artist: David Bowie, that gorgeous ethereal man. Favorite glam performance aspect: Giant sets! Production! Stagecraft! Favorite glam movie: Well, Strictly Ballroom totally counts, right? Favorite glam album: The New York Dolls. Has all the roughness I love, plus it might be the only glam album other than Ziggy I’ve listened to regularly. Favorite remnants of the glam movement: The fluctuations between feminine and masculine aesthetics. I guess you could call it gender fluidity? But more with regards to fashions. The garish clothes, men’s painted nails, a respect for an entire spectrum. Favorite glam trope: Dance! Moving to music. Favorite glam discovery this month: Ewan McGregor’s performance in Velvet Goldmine. Most appealing aspect of glam: Overt, unapologetic self-acceptance. Favorite glam reincarnation: The Darkness, a rocking band that had the spark of fun needed in music. The visual aspect of things is an important part of glam. So, obviously, we needed to parade some videos in front of you. For those of you who’ve only experienced glam music in the context of Velvet Goldmine, a little extra commentary might be useful. Glam has some range and some fuzzy edges. Like many musical genres, especially in decades past, the press likes to look for trends among new bands that don’t easily fit existing niches and lump them together with a new genre title. Which is why you’ll see/hear bands that sound like very macho rock or whose members look like macho guys in the clothes that they or their advisors wisely saw might help (hey, loads of people do it; that doesn’t mean their music isn’t good). And, right next to that (maybe in the same band), you’ll hear music with a little more strings or piano or whose members are pretty and seem to comfortably and naturally wear makeup and androgynous/dramatic clothing. Glam had a massive impact, in large and in subtle ways, on all the rock that came after it. The theatricality (not just standing around looking pretty), the costuming, the interesting lights, even (and this is true) male bandmates being able to put an arm around each other whilst playing can thank glam. So even the modern bands you’ll find here have range. Most of them play with androgyny or gender roles. And one of them, the last, is as glam as anything you’ve seen or heard. At the end of this post is the YouTube playlist I created. I considered saying a little about each, because the world of music on stage and in video is so very different now, but the video and music should speak for themselves this time. I don’t even necessarily love every video here, but I feel like you need to see the evolution. I’ve got them here in chronological order (or as near as I can sort it out). Don’t forget that you can click for the list at the top of the video screen and skip around if something isn’t connecting with you. Enjoy! And be sure to share your own glam video love in the comments. Most Worlds | Powered by Mantra & WordPress.